Anyone considering putting together their own PC should contemplate a third-party CPU cooler. The one shipped with your processor will ultimately do the trick, but spend a little extra and you can most probably make your chip run cooler and your system quieter. But how much is a little extra? Well, costs can vary greatly. 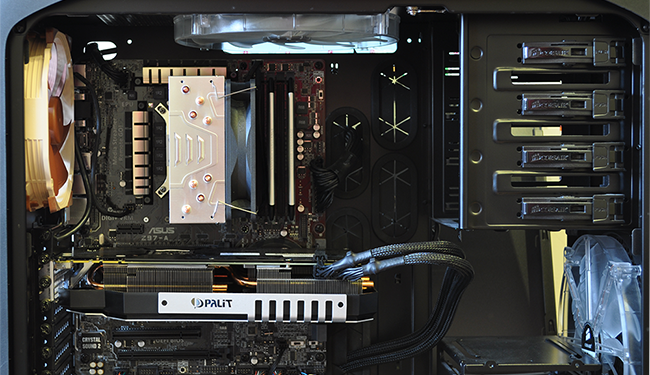 Get elaborate with liquid cooling and you could easily add over £100 to your build. 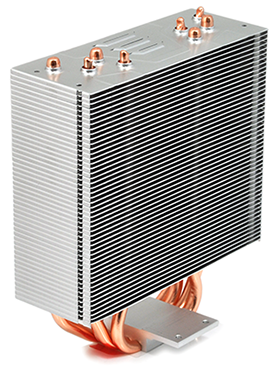 Air coolers tend to be more affordable, but the enthusiast models hogging the headlines will set you back at least £50. 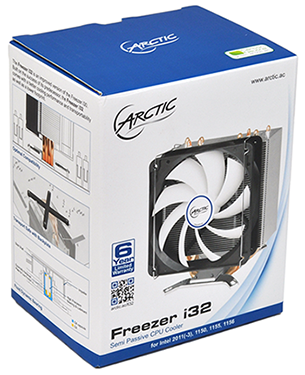 Arctic reckons it can deliver the right results for less with the Freezer i32, a cooler the company describes as "the new price-performance champ." Bold claims, but Arctic's predecessor - the Freezer i30 - proved a popular choice and the 2015 follow-up looks set to continue that trend thanks in no small part to keen retail pricing. 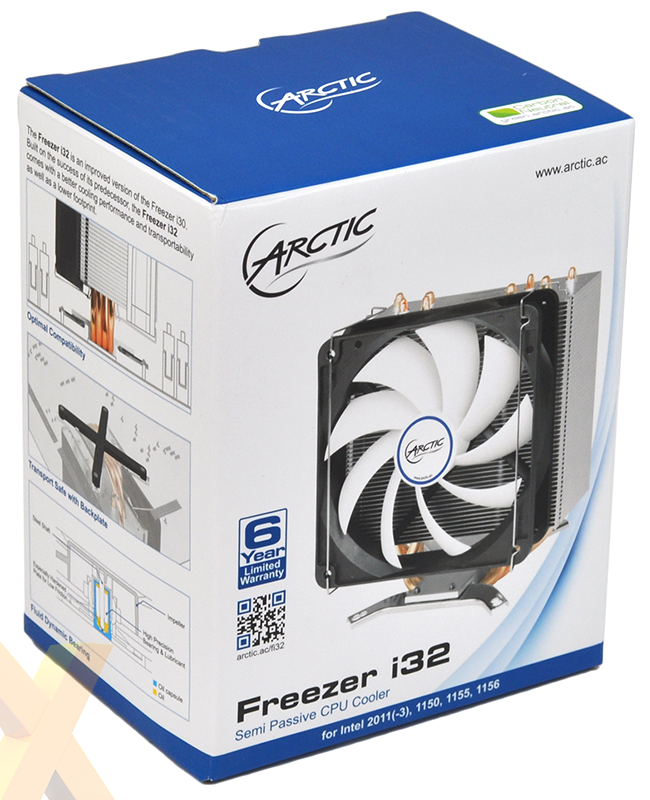 The actual MSRP is listed as £37.99 but shop around and you can easily find the Freezer i32 for around £25. For the small fee, you get a good-sized cooler that touts an ambitious cooling performance of 320 Watts, an excellent six-year warranty and, new for this year's model, a semi-passive fan that turns off at low load. A tempting array of ingredients, though do be aware that multiple variations are available at retail. Instead of including universal mounting brackets in one box, the reviewed Freezer i32 is for Intel sockets only and there's an alternative Freezer A32 for AMD users. Confusing matters somewhat, there's also a Freezer i32 CO. Priced slightly higher, the CO version, for Intel sockets only, includes a dual-ball-bearing fan better suited to continuous 24/7 operation, i.e. in a server or workstation. 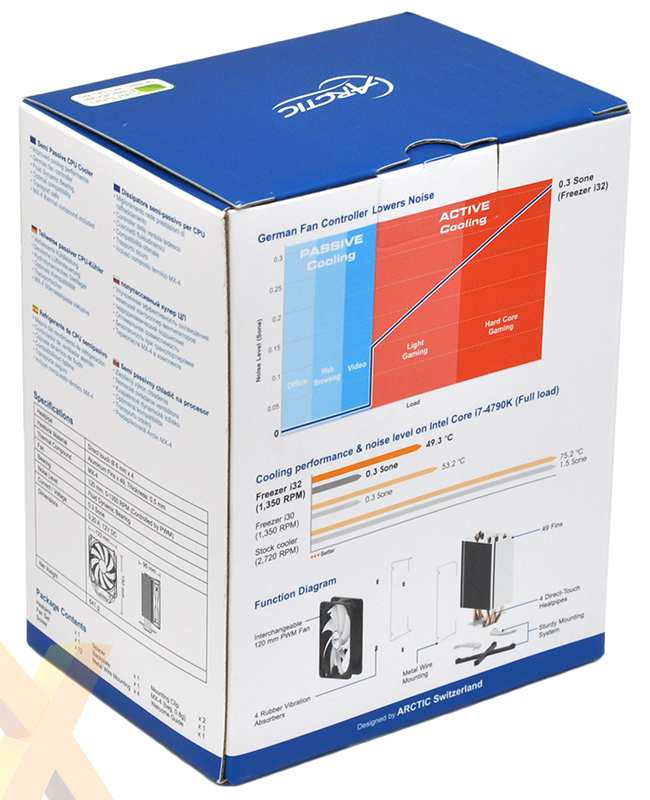 All three feature the same semi-passive fan mode, and the same six-year warranty applies. Having mounting hardware for only Intel or AMD platforms takes away an extra layer of future convenience, but on the flip side it makes installation that little bit easier - the bundled items are what you need and nothing more. 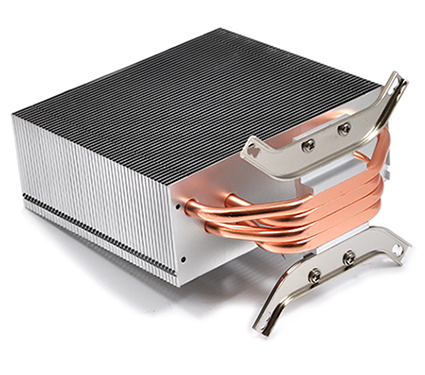 For the Intel variant, that includes a basic backplate, a pair of mounting arms, screws for all the latest LGA sockets (2011, 1150, 1151, 1155 and 1156) and a single 120mm PWM fan. 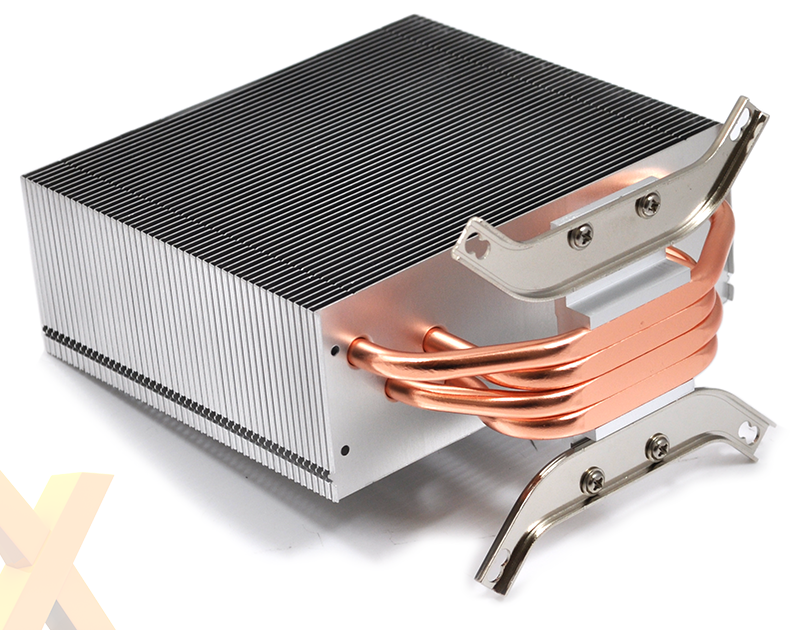 Build quality is good throughout, particularly at this price point, and the 641g aluminium heatsink is interspersed with four copper heatpipes that make direct contact with the CPU. 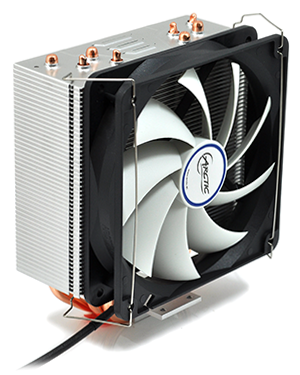 A height of 150mm ensures compatibility with most modern enclosures, and a depth of 95mm, including fan, is reasonably svelte. You shouldn't run into RAM compatibility issues, and Arctic reckons the cooler is slim enough not to foul memory either side of the CPU socket in a quad-channel setup. Four fan clips are provided as standard - allowing you to add an optional second fan - and rubber spacers are also included to help soak-up vibration between the fan and heatsink. 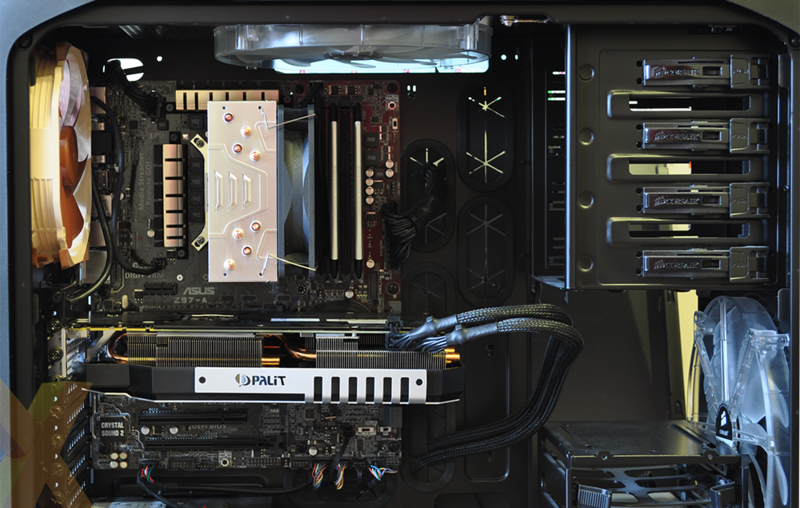 Installation is as simple as fastening the mounting arms onto the bottom of the cooler and then fixing the entire assembly to the bracket on the rear of the motherboard tray using the correct screws. Getting up and running is straightforward for the most part, though the bundled MX-4 thermal paste isn't the easiest to apply. Provided in a small sachet, it's only good for one application and Arctic recommends running a thin line across the bottom of each of the four copper pipes. That's easier said than done and we'd have preferred pre-applied paste or a syringe allowing for more precise application. The Freezer i32 isn't the best-looking cooler once in situ, and users with a side window might prefer something more fanciful, but it isn't unsightly either and we like the fact that it doesn't clutter the CPU socket. 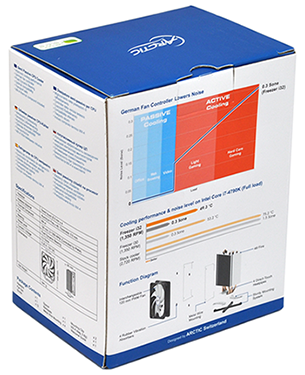 It's easy to install in just about any orientation, and keeping things simple, the fan attaches to a single four-pin header with the semi-passive functionality requiring no additional configuration. 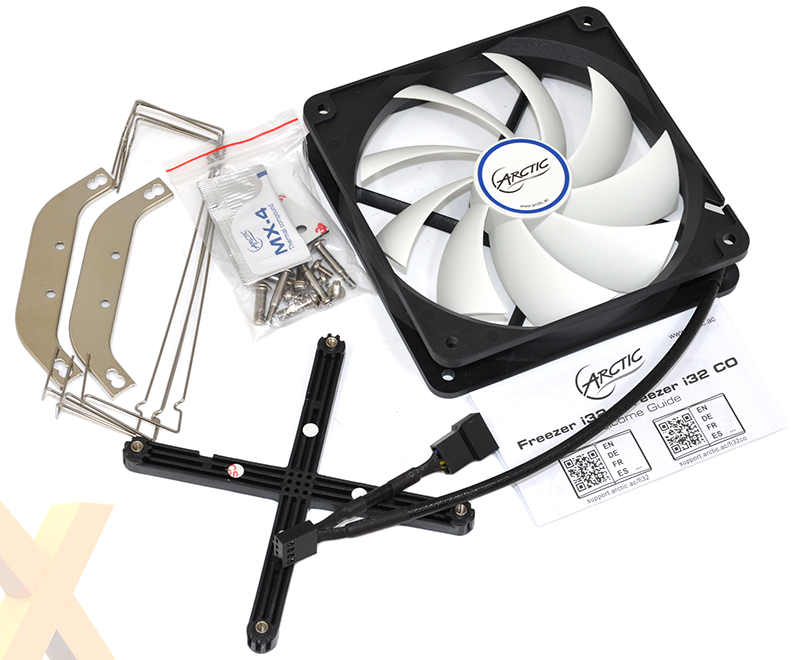 A lot like modern GPU fans, Arctic's 120mm, German-made unit is designed to switch off when the system BIOS mandates a PWM signal below 40 per cent. The implementation works well in practice, however it can fall foul of BIOS protection measures - our system reported a CPU fan failure whenever the 120mm blower sat idle, so we had to set it to ignore CPU fan speed. On the plus side, the transition between the fan spinning down and back up is excellent, and in a typical desktop you can barely hear the change in state. So far so good, but let's see if performance is up to scratch.